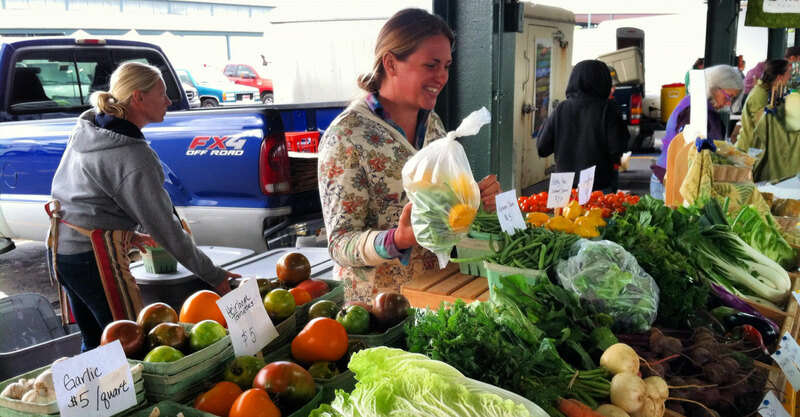 Buying a community-supported agriculture share connects you directly with the farm and farmers. 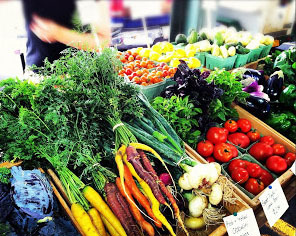 Bringing fresh produce every Saturday to the market. Community members purchase a “farm share” for the growing season, which entitles them to a weekly share of the harvest throughout the season, grown by a farmer they know and trust. Membership includes weekly produce, a weekly newsletter, recipes, and invitations to CSA workdays and farm events and the opportunity to enjoy the farm each week. 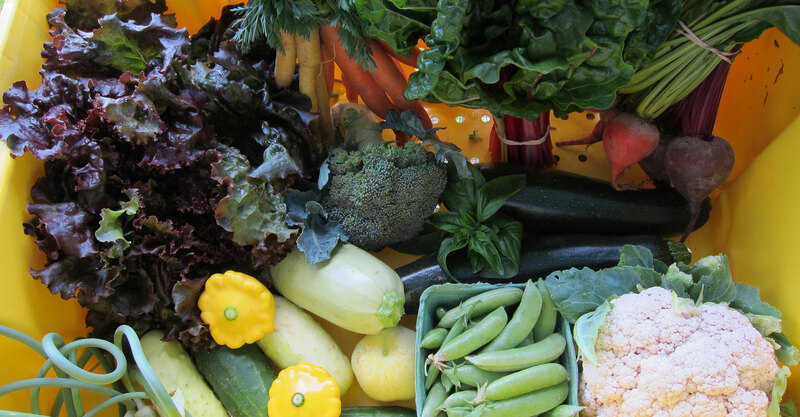 As a member of the farm, you will receive a weekly share of fresh vegetables throughout the harvest season. (June through October – 20 weeks). A “Full Share” consists of 8-12 different items of produce a week; enough to feed a household with 2 adults. Share contents change with the seasons. 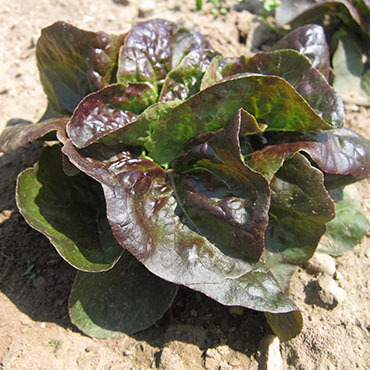 The Spring shares contain lettuce, cooking greens, sugar snap peas, radishes and salad turnips. Summer shares contain more diversity as we welcome the arrival of tomatoes, squash, onions, garlic and carrots. The Fall crops come in and we dig root vegetables, harvest winter squash and leeks, and prepare for a bounty of broccoli, cabbage, cauliflower, and brussel sprouts. To sign up for CSA download and fill out the form for your pickup location or order online. Old Fly Farm is located in Fabius, NY, a beautiful setting 25 minutes south of Syracuse. The small farm is situated along a hay field, which our neighbor has farmed for generations. The land is divided into smaller sections to allow for many different types of crops to be planted and rotated from year to year. Large sections of the field are left untouched to promote biodiversity and allow beneficial insects a place to reside. The surrounding woods and hedgerows also provide habitat to many different species of wildlife, especially birds. Our growing practices reflect our commitment to the quality of our products and the health of the land. We do not believe sustainability is simply a set of practices continuously applied to the land, but rather a process through which ecological vitality of the land itself improves over time. So we are constantly learning ways to improve our production of on-farm fertility, reducing our tillage through crop rotations and the use of cover crops, and to promote a habitat for beneficial insects and animals. The farm is named after The Old Fly, a small creek located near the farm in Fabius. The old Fly flows into the Fabius Brook which feeds into the Tioghnioga River while ultimately travelling to the Chesapeake Bay. While naming our farm after The Old Fly, it demonstrates our commitment to our watershed, our environment, and our communities. Angela grew up in Syracuse and earned a degree in International Development from Clark University in Worcester, MA. 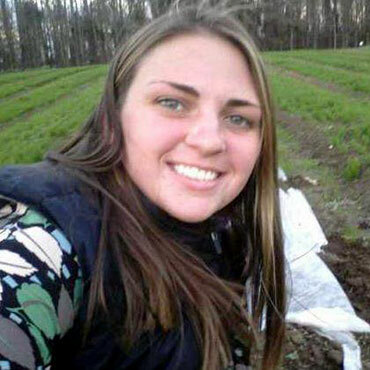 She worked on many farms in Massachusetts, New York, Maine, and Maryland while realizing her passion to have a farm of her own. 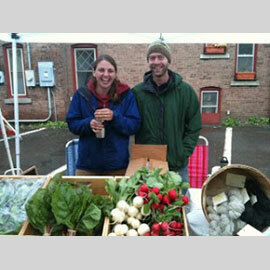 Upon meeting Matt in 2005, she shared with him her dream of farming and the couple made plans to return to Syracuse to get married and start a farm life together. Matt, originally from St. Louis, MO, is Associate Professor of Geography at Syracuse University and pursues his passion of researching and teaching about environmental and social issues. Loretta celebrated her second birthday this year, on the new farm! We are thrilled to see her explore and engage in the farm. We’d love to hear from you. If you have questions fill out the form.